She’s Peeling!!! Nha dressed as a Banana Peel but that didn’t stop her from checking out a fun run. 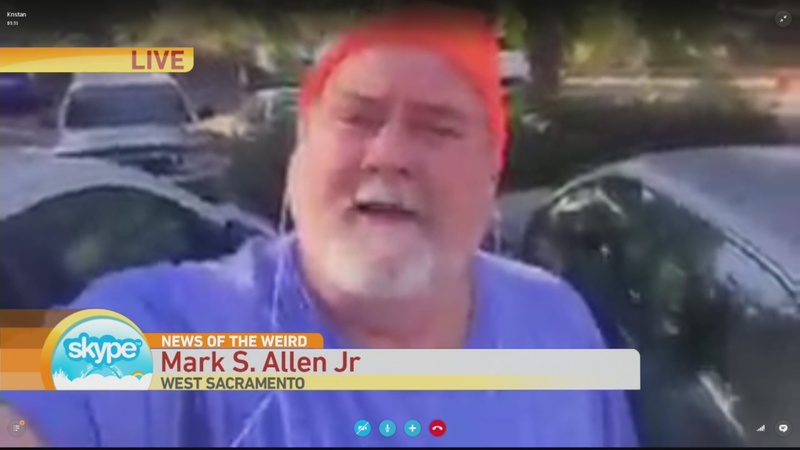 Benefiting CCHAT Center Sacramento and Hope for Healthy Families Nha was learning more about the Hope for Hearing Halloween Fun Run developed from a need to raise awareness and funding for these two nonprofits serving our community. 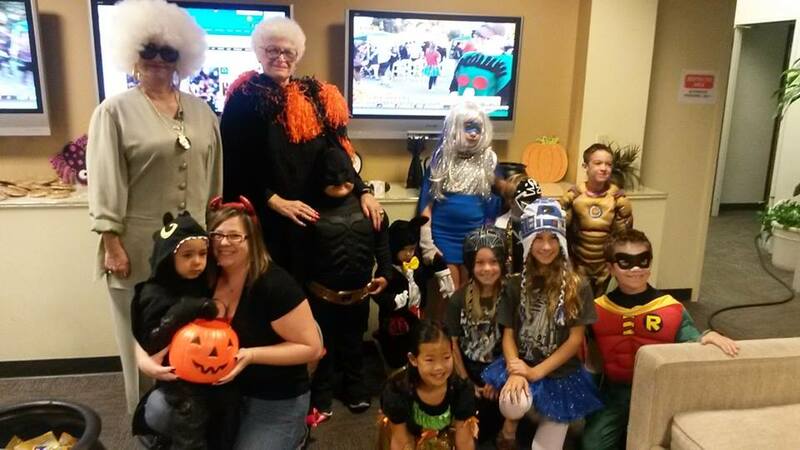 Nha was at Smile Kingdom Dental learning how this dental office is giving back! 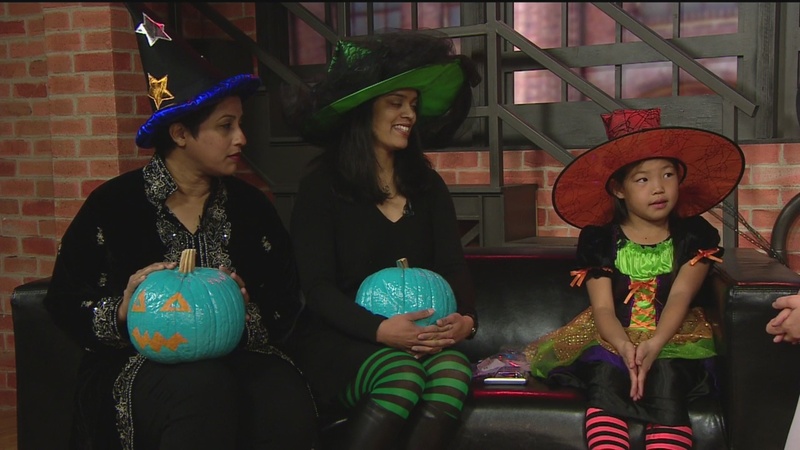 Smile Kingdom Dental is doing a Halloween Candy buy back as a great way for us buy candy that the kids collect on Halloween night and get paid for it with $1 per lbs. 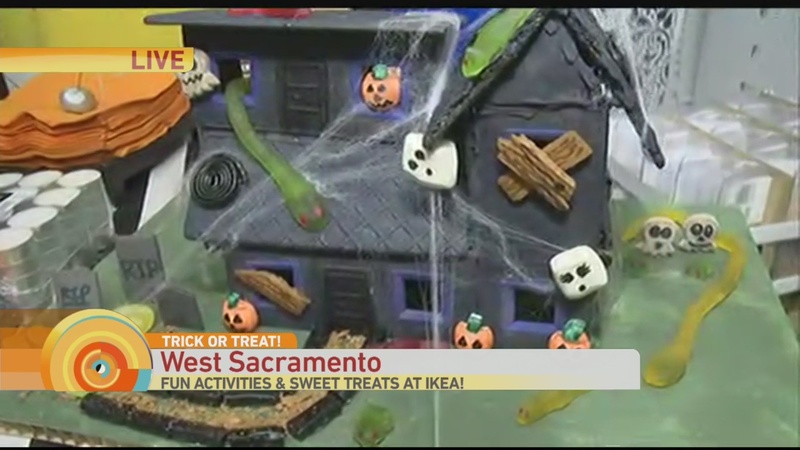 Nha was in Elk Grove with Christine where she’s been decking out her Halloween home for 15 years! 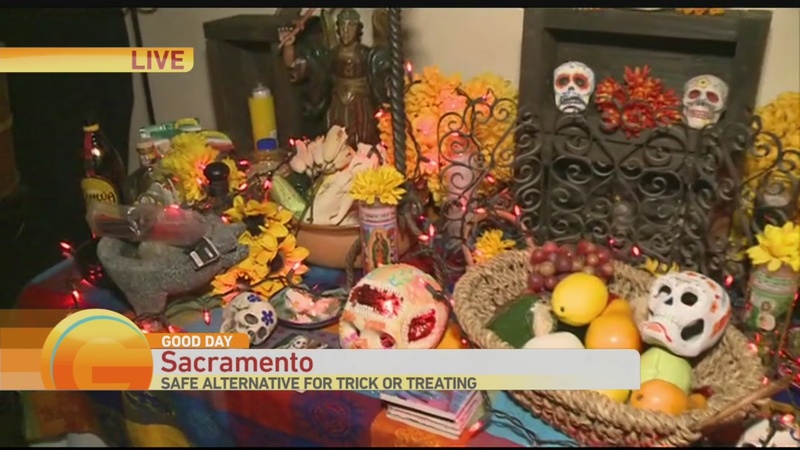 Christine’s decorations make her THE HOUSE to visit in Elk Grove on this spooky holiday! The Skellie’s Family Reunion 5604 Claudied Way Elk Grove, CA Tonight: 5 pm-12 am. Nha was at the 22nd Annual Safety Fair and Halloween Event, sponsored by the Elk Grove Police Department and the Cosumnes Service District. 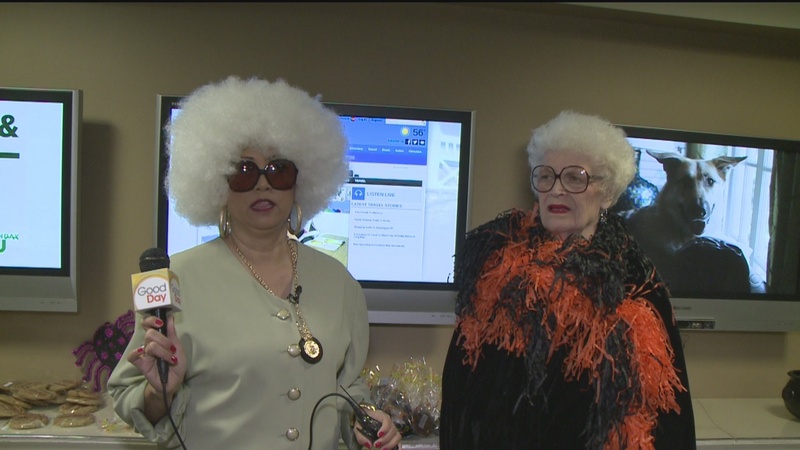 Edith Eleanor’s long lost sister is back with her Sister Eleanor to hand out candy. 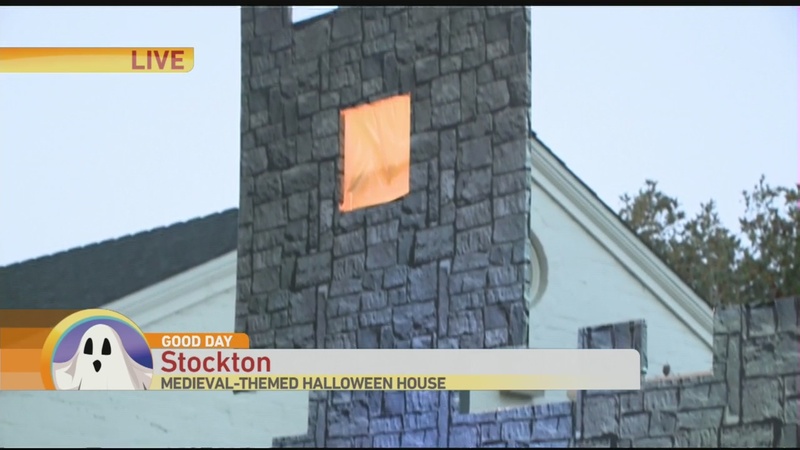 Dressed as Joy from Inside Out Heater was checking out a Stockton Medieval Halloween House. Heather was at Made By Mo where you can do some fun painting. Heather was checking out a Halloween House in Lodi. 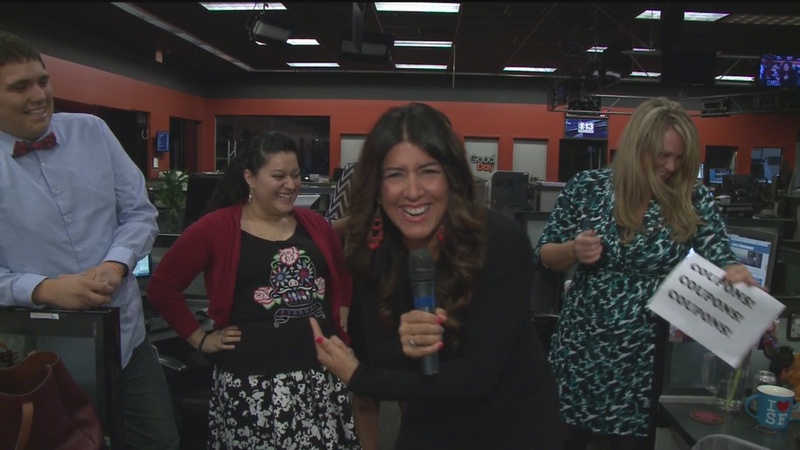 Heather was at Caterpillar Boutique on the Miracle Mile in Stockton. 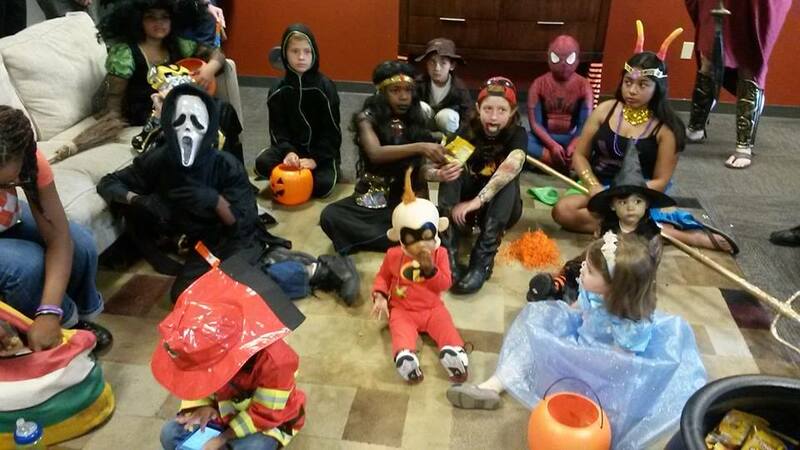 Also taking place is the Safe Trick or Treat from 3pm until the candy runs out. 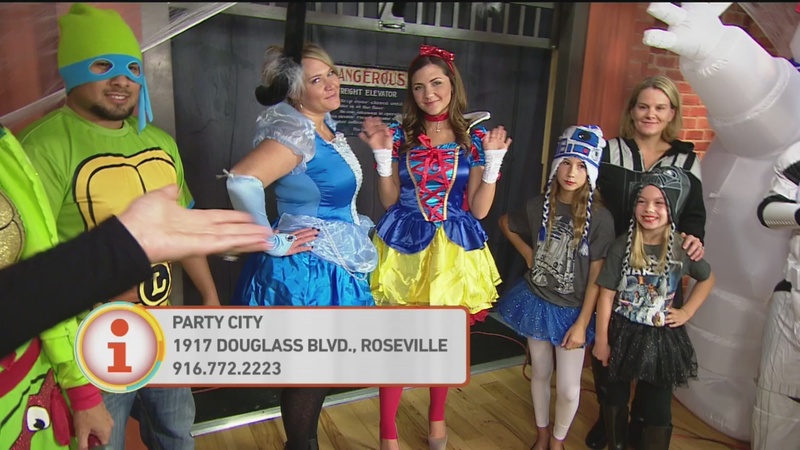 Lori was with Heather from Party City who was in showing some last minute Halloween Costumes and decorations for all your Halloween needs. Lori had the Real Hot Headlines. 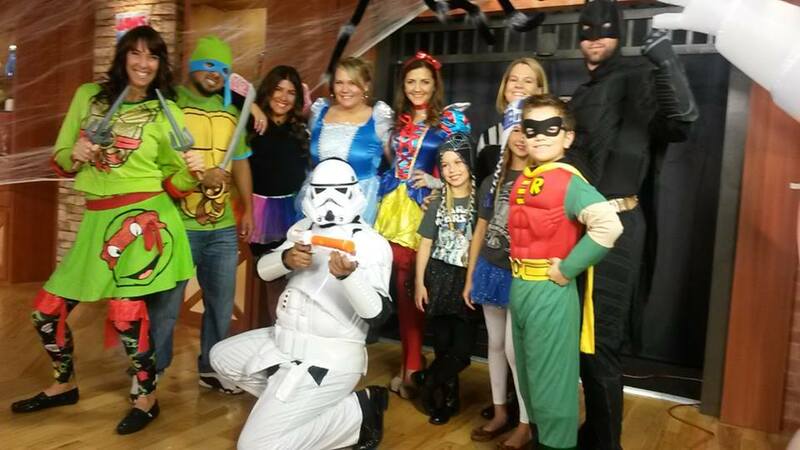 The Producers also dressed today Bailee was Lori Wallace, Chris was Cody, Kat was Marta from SAP, Jason was Mark S. Allen and Kristan was Melissa. 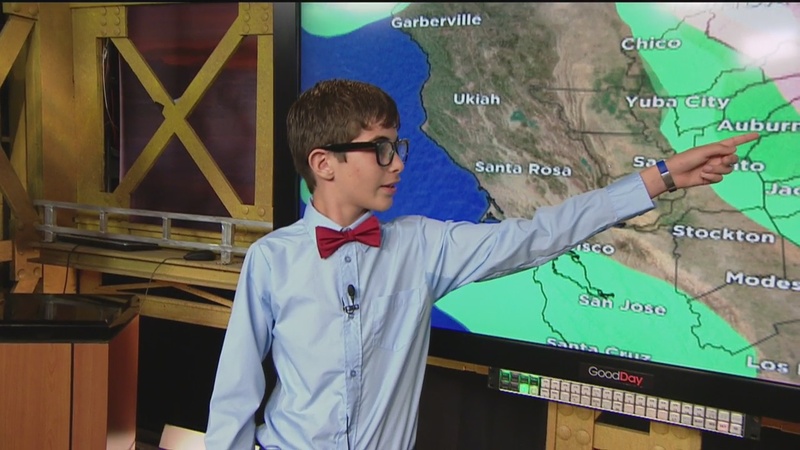 They even had some fun with Slap You with Science, Coupon Corner, Melissa’s Coupon Corner, News of the Weird and Manly Minute with Kevin throughout the show. 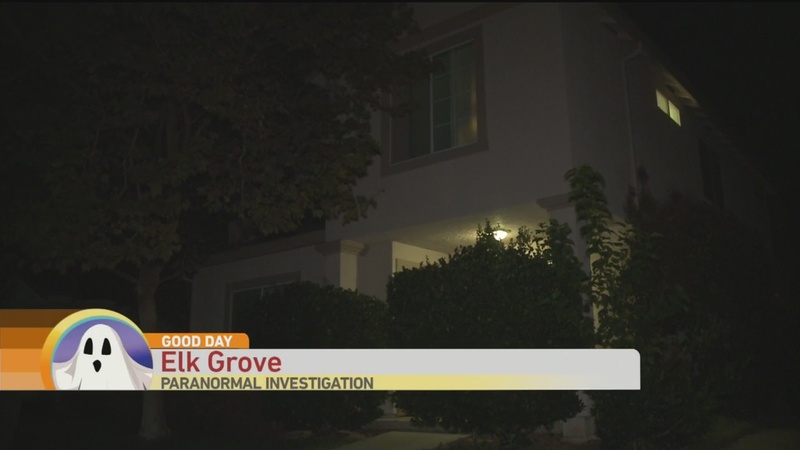 Monday on Good Day Melissa was in Elk Grove learning about a Haunted House. Enlisting the Help from HPI they investigated it and came back with Stunning results. Cody was with Kyle the Balloon Guy who is the Winner of over 20 awards from regionals to international titles and winner of 2014’s Master Balloon Artist Award. 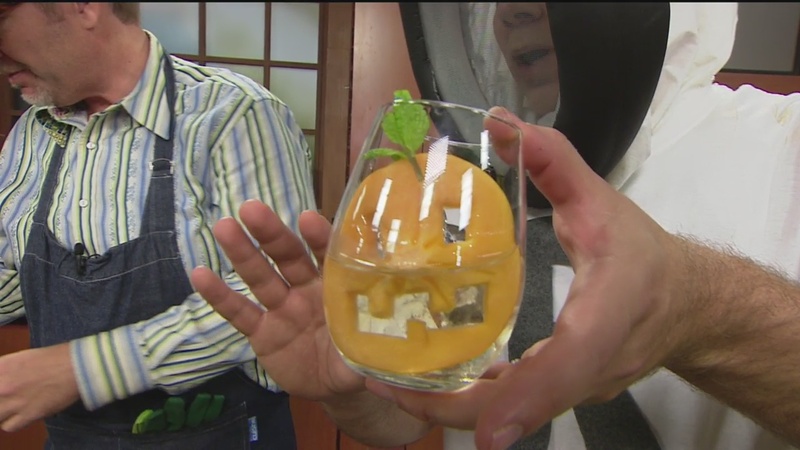 Cody was in the Kitchen with Jardesca showing ways to Host a Halloween party tonight with some ghoulish alcoholic beverages that are both tasty and visually appealing. 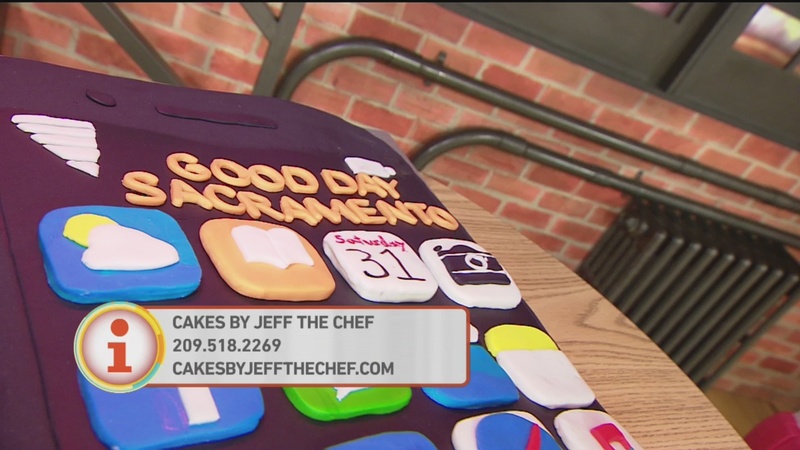 Cody was also with Cakes By Jeff the Chef who made a cake to go with Cody and Melissa as Ear Buds. Gory glazed? Bloody bear claw? Scream-worthy sprinkles? Who doesn’t love horror films and donuts!! Now you can get them both in one delicious bite! 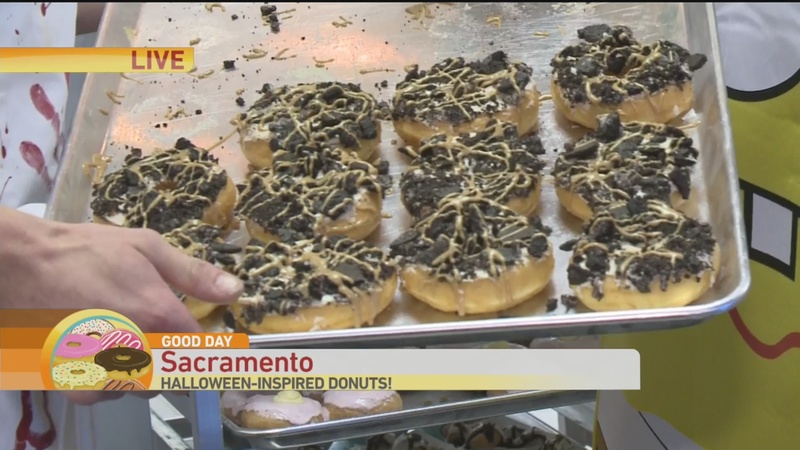 Today on Good Day Cambi was at Donut Madness that specializes in spooky sweets!! 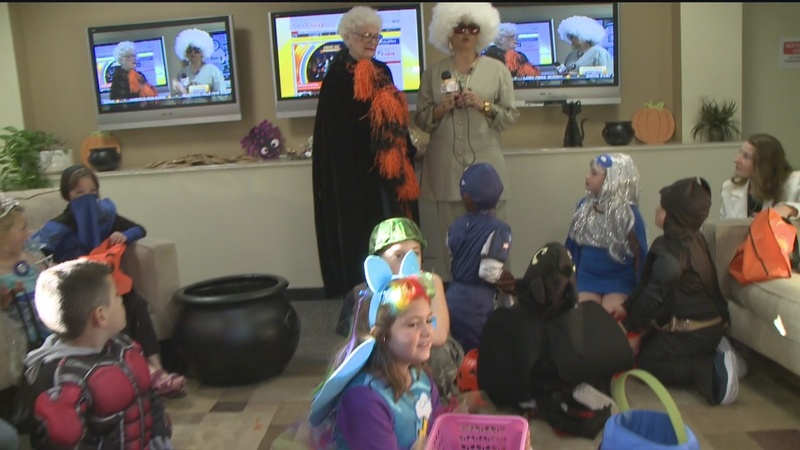 Benefiting CCHAT Center Sacramento and Hope for Healthy Families Nha was learning more about the Hope for Hearing Halloween Fun Run developed from a need to raise awareness and funding for these two nonprofits serving our community. Cambi was checking out Donut Madness. 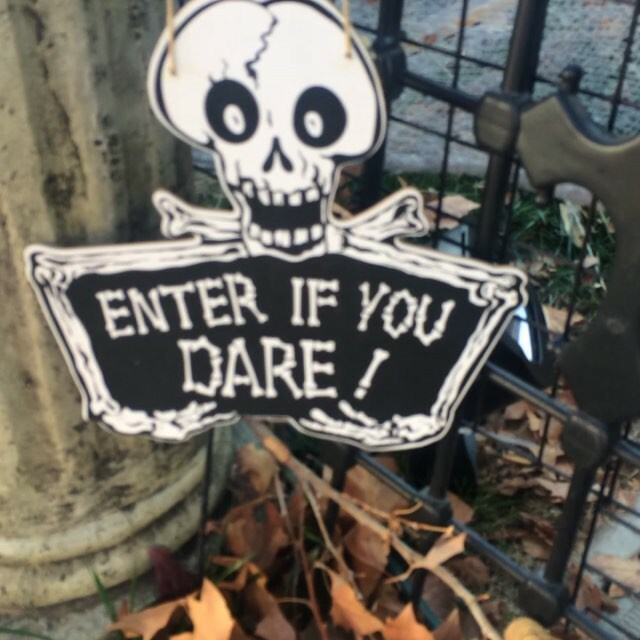 Heather was at a Stockton Halloween House. Nha was a a Fun Run. 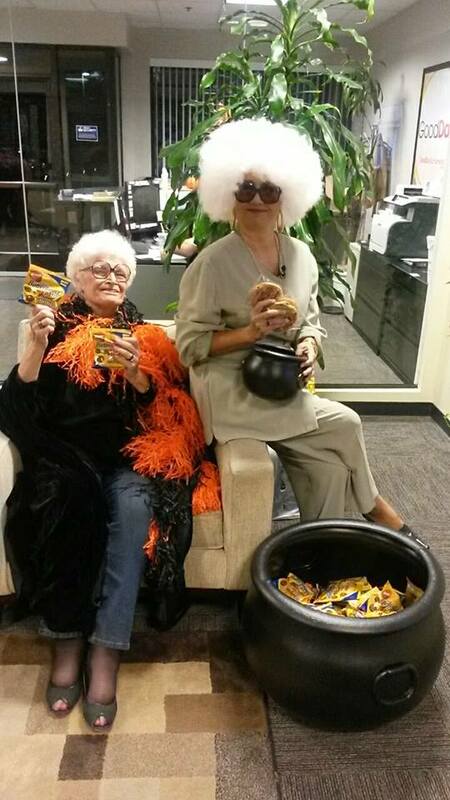 Tina and Eleanor handed out candy. 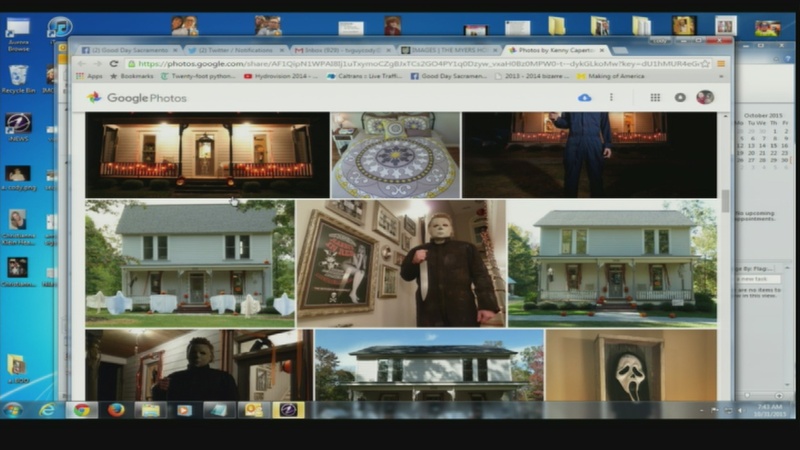 Cody and Melissa talked with a man who recreated Michael Myers house. 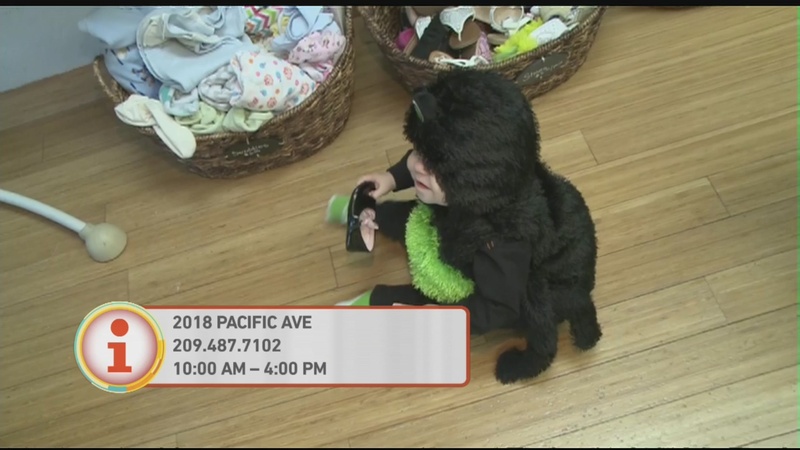 Today on Good Day Cambi was at Ikea. 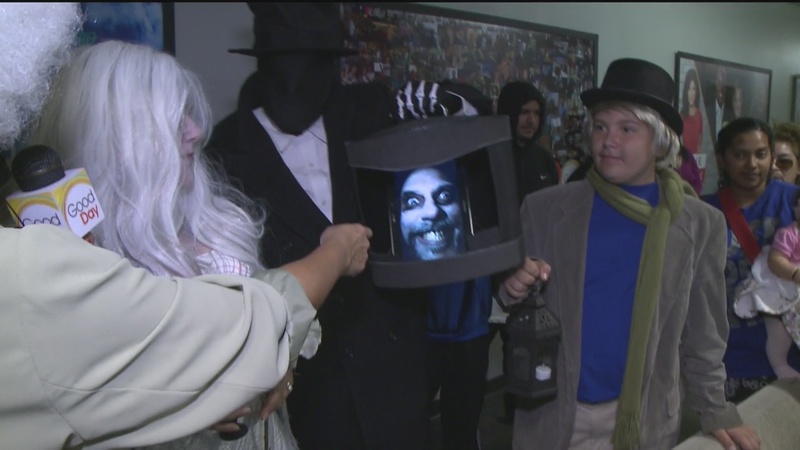 It’s Halloween which means it’s Trick or Treat Night at IKEA! 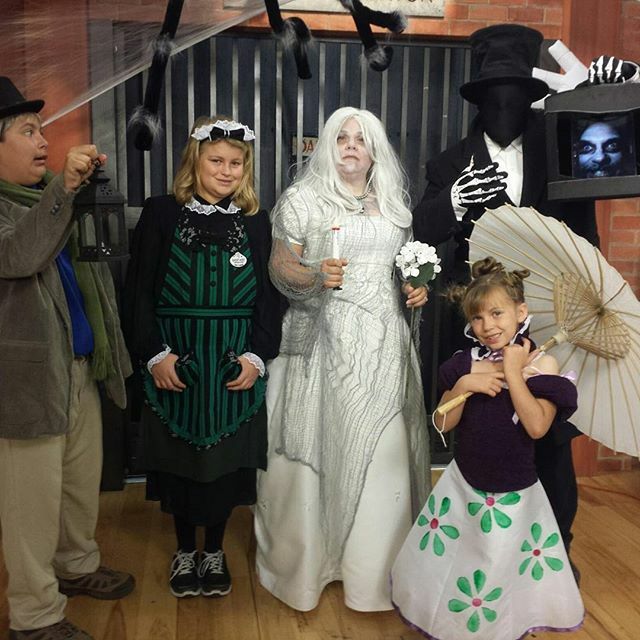 Today you can bring your little ghouls and goblins who are between the ages of 3 years old to 12 years old in costume to IKEA from 5pm to 7pm and find treats or tricks at the six candy stations set up throughout the store. Today on Good Day Nha was at Smile Kingdom Dental learning how this dental office is giving back! 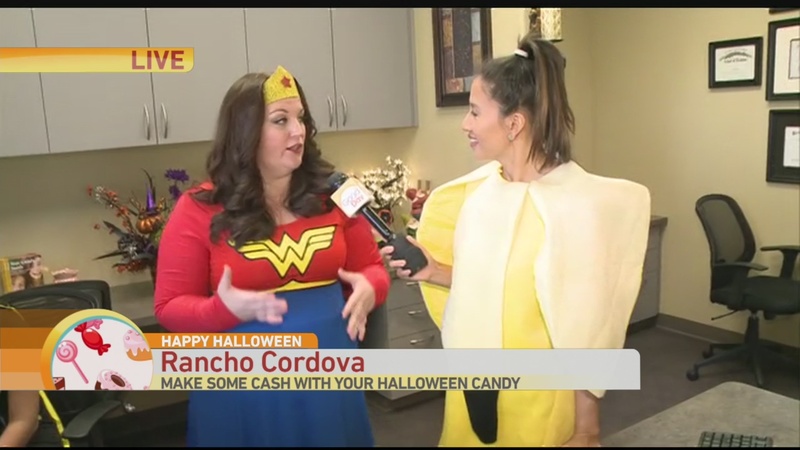 Smile Kingdom Dental is doing a Halloween Candy buy back as a great way for us buy candy that the kids collect on Halloween night and get paid for it! 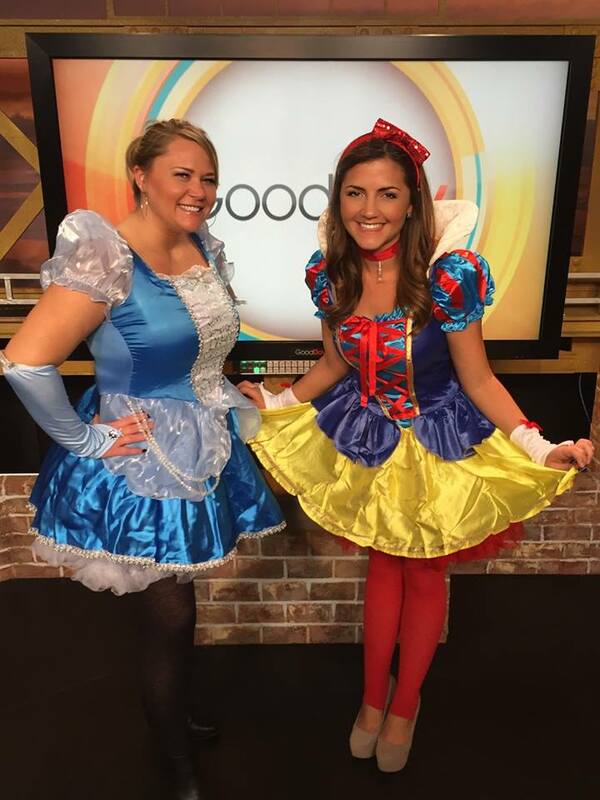 Today on Good Day Melissa was with 2 Medical experts from Mercy Medical Group who are helping children with a food allergy navigate birthday parties, school lunches and everyday life can be challenging and Halloween is no exception. Todd and Erica had the Music Minute. Heather was learning about paint classes. Nha was learning about a Candy Buy Back. 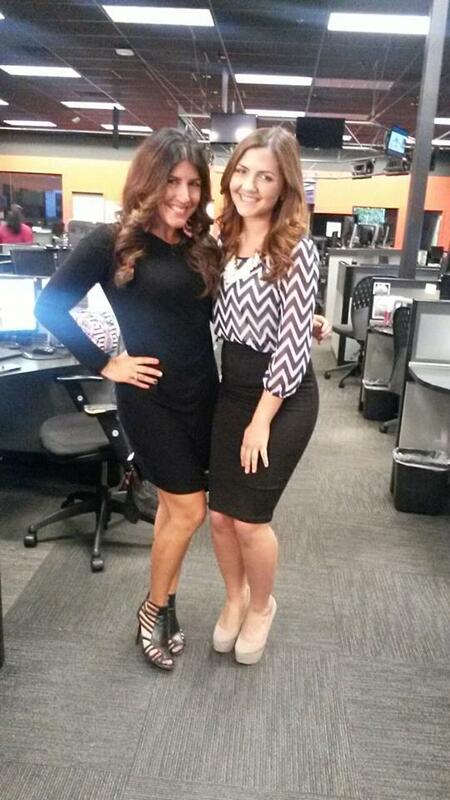 Melissa was learning about a Mercy Medical Group Food Allergy Program. 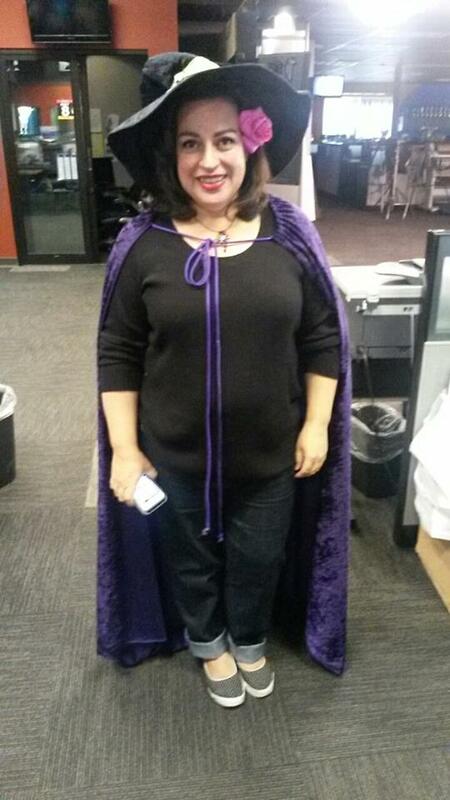 Lori was getting costume ideas from Party City. Cambi was trick or treating at Ikea. 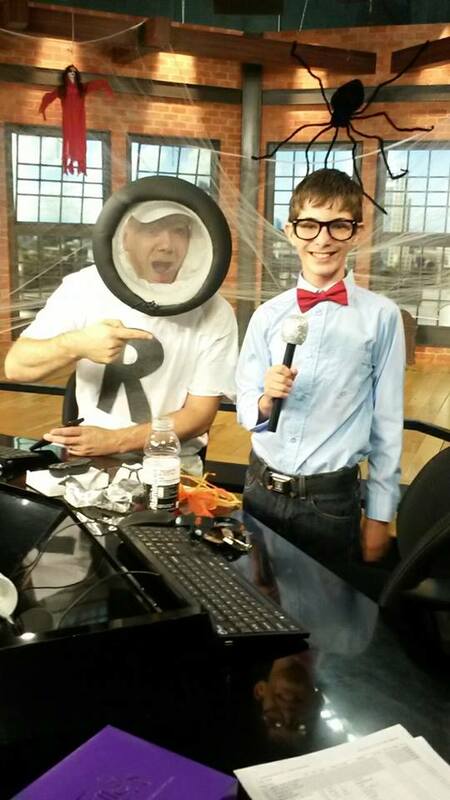 Trick or Treat continued. 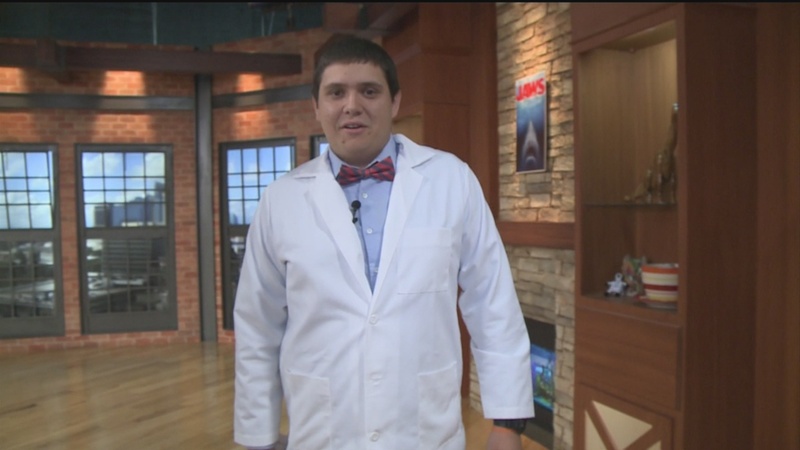 Today on Good Day Cody was with Kyle the Balloon Guy who is the Winner of over 20 awards from regionals to international titles and winner of 2014’s Master Balloon Artist Award. 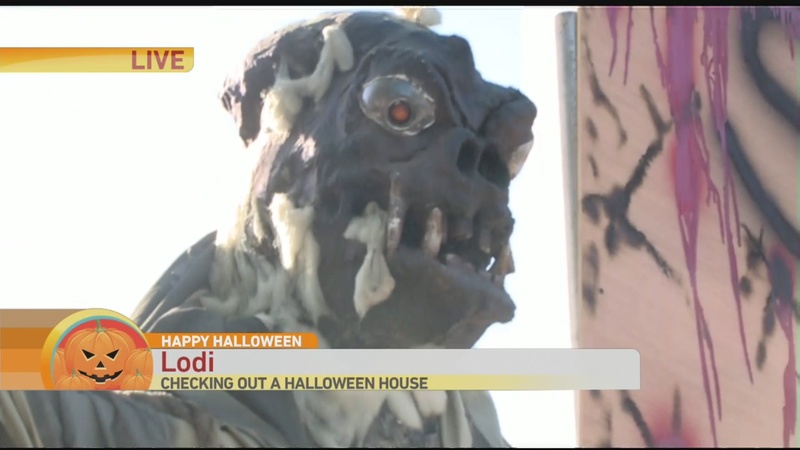 Today on Good Day Heather was checking out a Halloween House in Lodi. 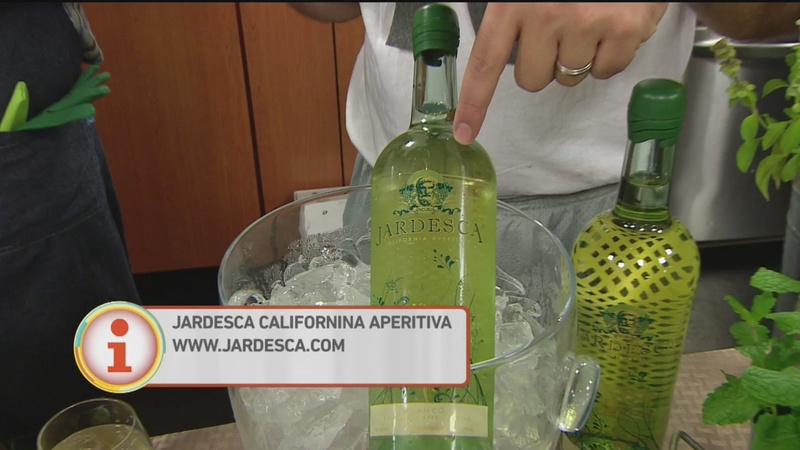 Today on Good Day Cody was in the Kitchen with Jardesca showing ways to Host a Halloween party tonight with some ghoulish alcoholic beverages that are both tasty and visually appealing? Nha was checking out a Haunted House in Elk Grove. Heather was checking out a Lodi Halloween house. Cody was getting some cocktail ideas from Jardesca Kristan had Fake Coupon Corner. 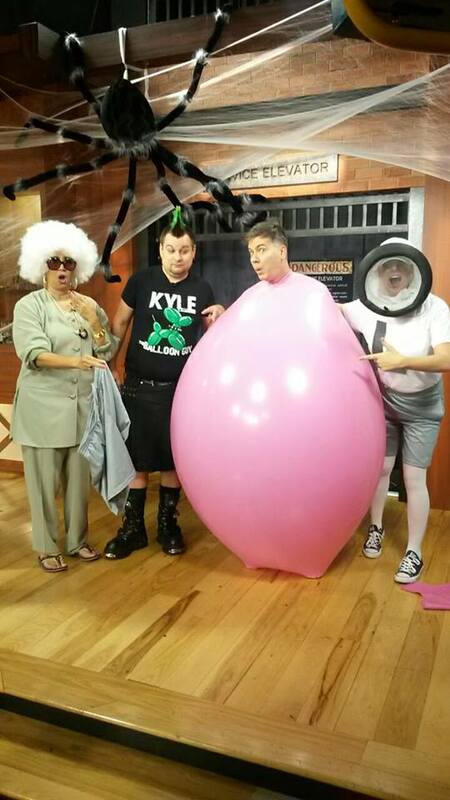 Cody got into a Balloon from Kyle the Balloon Guy. Kyle then laid on a bed of nails. Cambi was at Baskin Robbins. 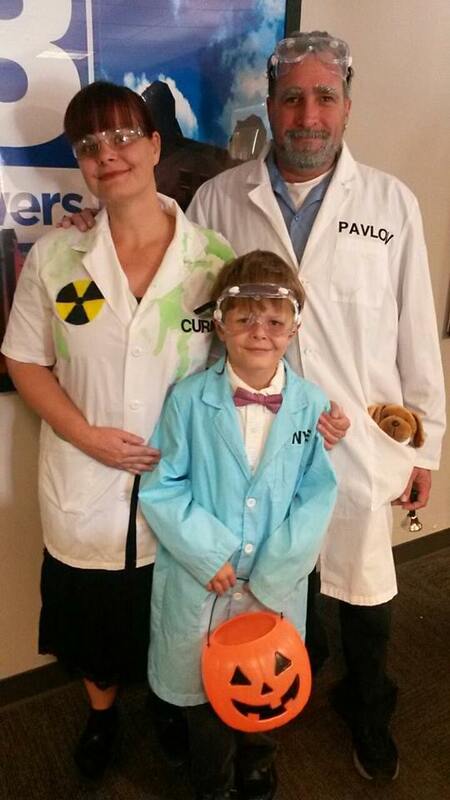 Trick or Treat continued. Today today on Good Day Cody was with Chef Jeff is back! Chef Jeff Taylor and wife Christina founded and own “Cakes By Jeff The Chef,” where they make custom cakes and other baked goods! 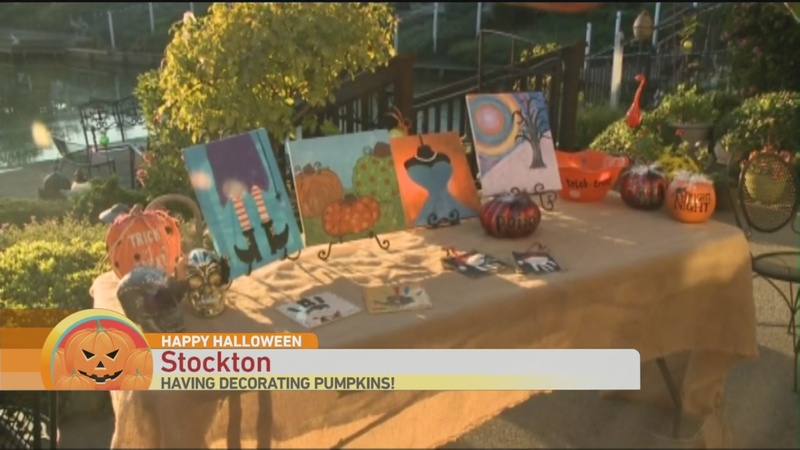 Today on Good Day Nha was at the 22nd Annual Safety Fair and Halloween Event, sponsored by the Elk Grove Police Department and the Cosumnes Service District. Arianna Grande had a phone thrown at her. Kevin: As Ken with the Manly Minute Manliest Men. Cody was back with more Halloween Cocktails. Cakes by Jeff the Chef stopped by Lori had Hot Headlines. Cambi was checking out the R. Street Carnival. Nha was checking out the Elk Grove Halloween Fair. Heather was checking out a boutique. Bailee as Lori had Hot Headlines Kevin as Ken had Manly Minute Jason as Mark has News of the weird. 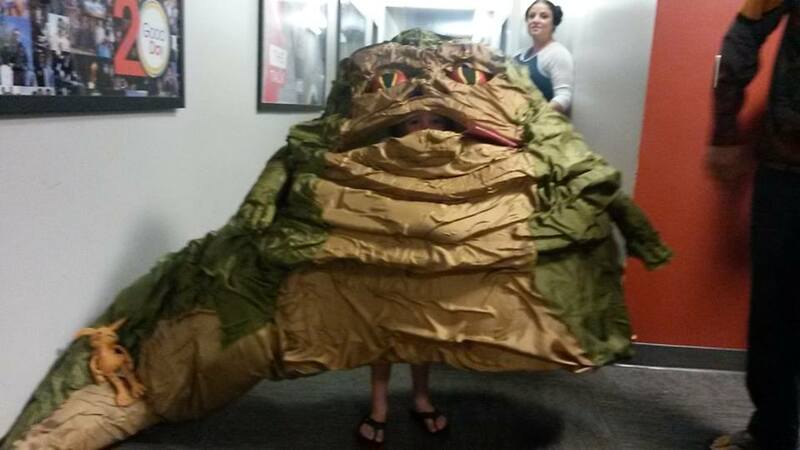 All the GREAT Halloween Costumes are the favorites of today’s show. 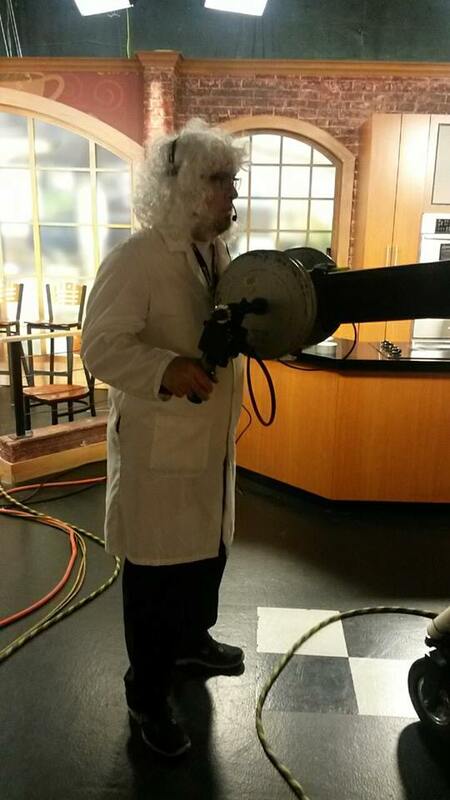 Tune in tomorrow 7-11a on #CW31 and 8-11a on KBCWtv After you turn your clocks 1 hour tonight.